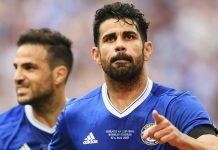 The weekend sees the Blues having to wait an extra day for the action to begin, with the big kick off seeing Stamford Bridge hosting the game against 2008 FA Cup winners Portsmouth on Sunday. Anticipation is high, and with new boss Scolari taking charge, fans cannot wait to witness how the team will change under his guidance. A successful pre-season campaign has also moistened the taste buds and a convincing 5-0 win against 2007 Champions League winners AC Milan topped it off. Aside from the results, some stunning performances from the likes of Deco, the first signing of new boss Scolari, and Nicolas Anelka, have led Chelsea fans to believe this year could be the year that the Premier League returns to West London after a two year wait. Fan’s of the Blues are also looking forward to seeing just how Chelsea will line up against Portsmouth on Sunday with five center midfielders and three wingers in the first team squad. This may be seen as a setback for the likes of Michael Woods and Sergio Tejera who have strived for a place in the first team for a while and this has led to a big section of the Chelsea fans expecting the Carling Cup, and in some cases the FA Cup, to become tournaments for the fringe players in the side. However, at the moment more questions are being raised then answered with reports suggesting Chelsea could be close to signing Kaka, an attacking midfielder, and also the confirmation of a bid for Real Madrid winger and striker Robinho. Onto the opponents, and Portsmouth have strengthened their squad over the summer with a lot of new faces, including Chelsea’s young starlet Ben Sahar on a six month loan deal. He, however, will be ineligible to face Chelsea due to the terms of the deal. Another coup for the south coast side was the signing of Peter Crouch, with their fans hoping he can form a strong partnership with fellow England striker Jermain Defoe. Younes Kaboul has also signed for the club from North Londoner’s Tottenham Hotspur as Harry Redknapp decided his defence needed strengthening. The game comes off the back of the Community Shield in which Portsmouth fell to Manchester United on penalties, with former Chelsea players Lassana Diarra and Glen Johnson both missing the target. Chelsea go into the game as favourites but will have to take Portsmouth seriously to avoid an upset at the Bridge. Let the games begin.